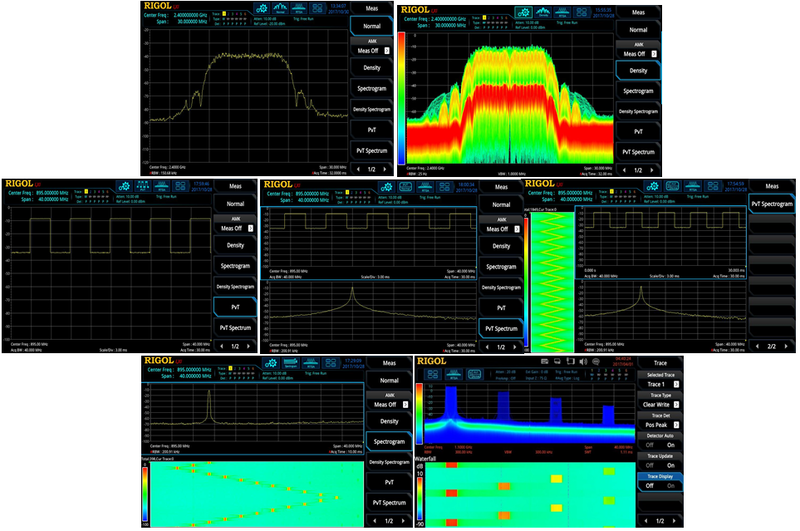 View lower powered signals (harmonics, interference sources) and ease trouble-shooting in swept and real-time mode. 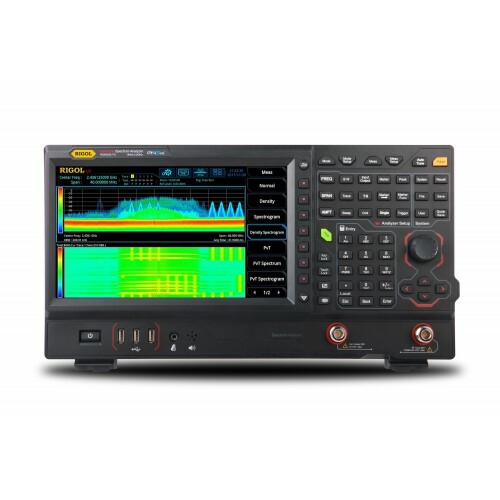 Provides high resolution to separate signals with close frequencies enabling easier signal identification for characterization and advanced measurements. 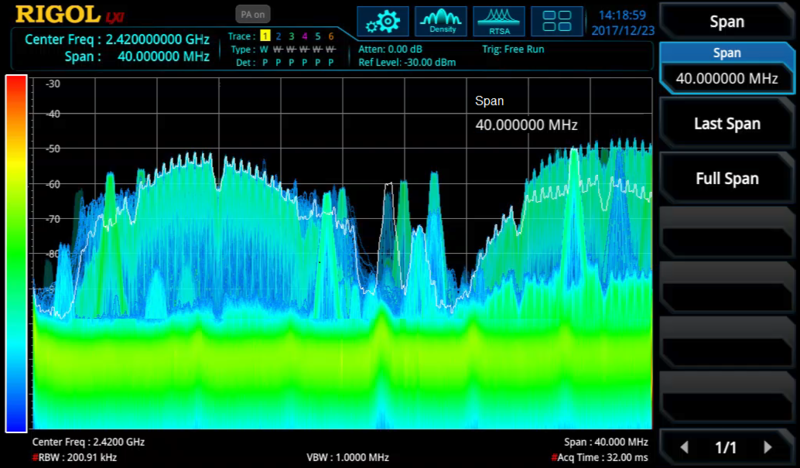 Utilize the fast 1 millisecond full span sweep to quickly identify signals of interest. 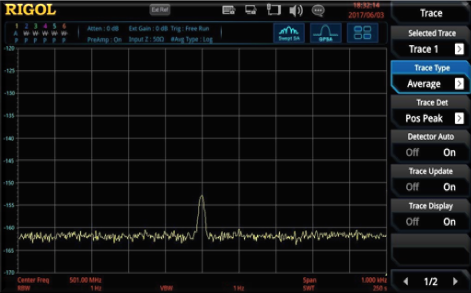 View wider band and hopping signals at one time without additional setup making identifying and analyzing signals of interest faster and easier. 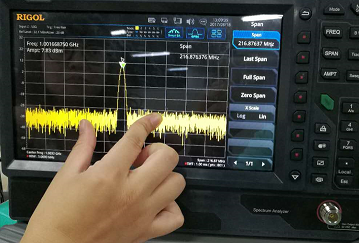 Capture pulsed transmissions as short as 7.45 µs with guaranteed capture and power accuracy. 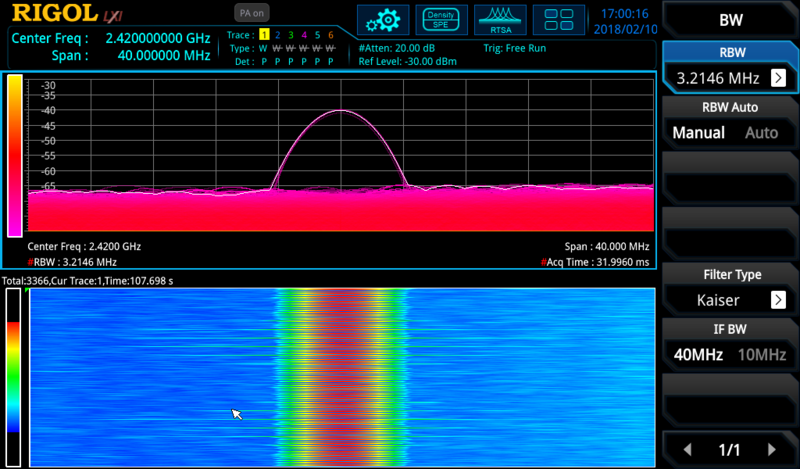 Advanced debugging and analysis with combinations of Normal, Density, Spectrogram, and Power vs Time visualizations. 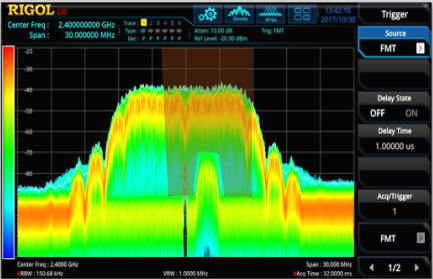 Identify specific signals of interest with frequency mask, power triggers, or use external triggers to time correlate digital signals for additional analysis. 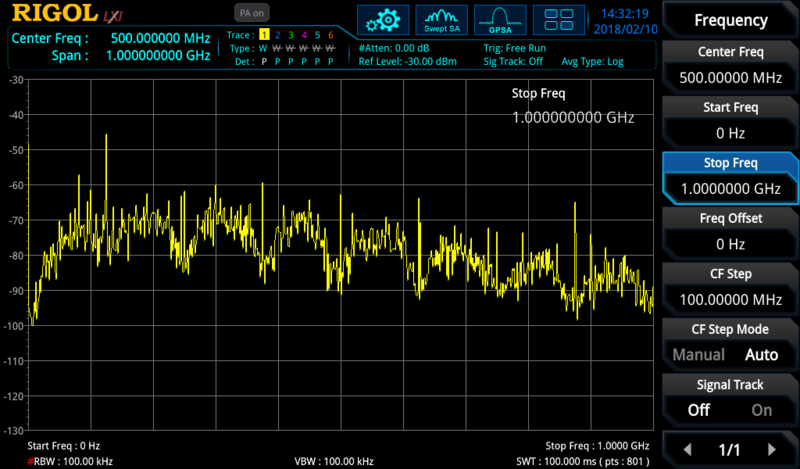 Use the optional tracking generator to test cables, antennas, filters, and active components. 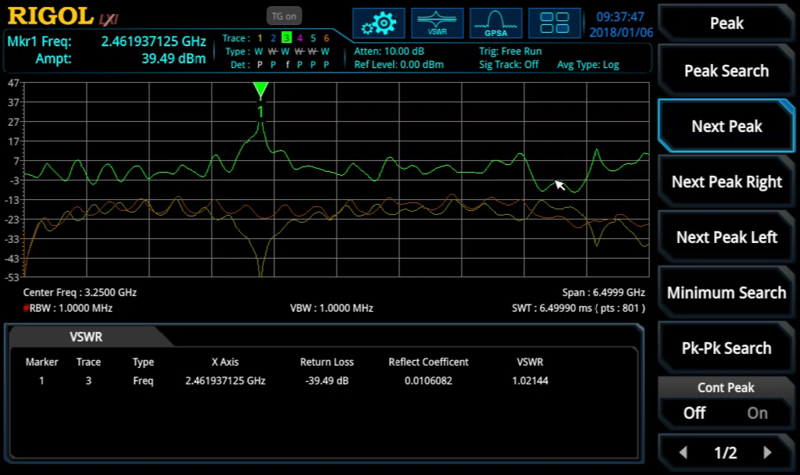 VSWR automates standing wave parameter measurements. Use front panel buttons, touch screen, keyboard/mouse/monitor, and PC based software control in any combination to match the application and customer preference. 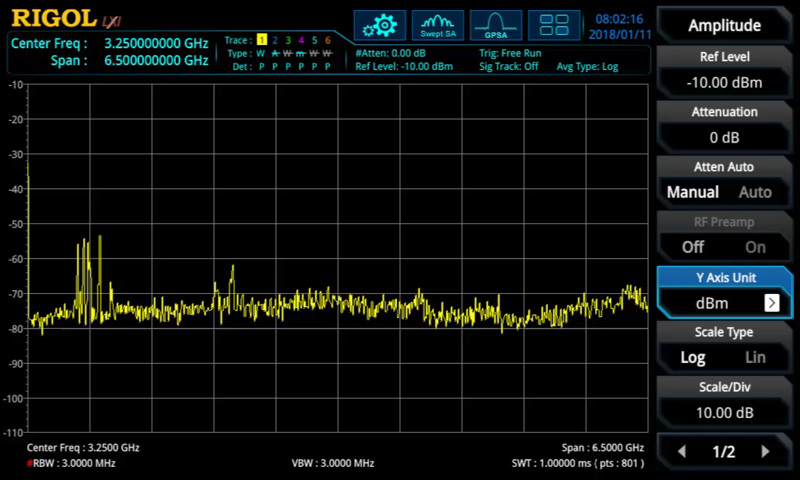 Standard 6 dB filters for EMI bandwidths as well as Quasi Peak detectors.